Orient Express is pleased to introduce the NextUp Quick Shift Sensor at a great cost savings over other popular sensors! Works great with ECU Flashed or Power Commander based quickshifters too! In PUSH (compression) configuration this precision engineered sensor resides in a stainless steel body for great reliability and durability under extreme conditions. 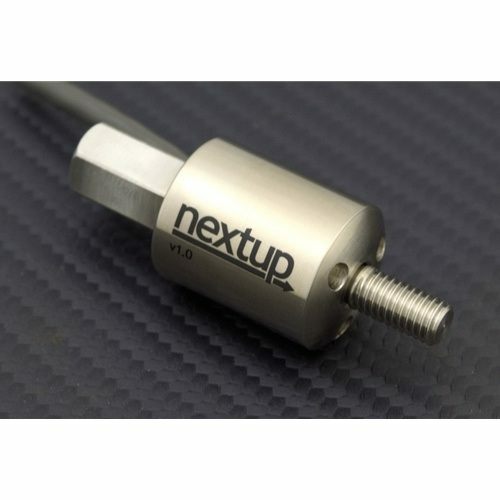 NextUp sensor kits ship at no extra charge with a versatile shift rod kit, allowing easy installation to any machine including six stainless steel M6 thread fitting options. Easily connects to stock or aftermarket rear set assemblies on most Japanese and European machines. Choose between standard or reverse (GP) shift configurations -- each kit is can be converted from PULL to PUSH or vice versa if needed with additional pieces -- please ask! This is the best way to add a quick shifter to your flashed ECU! Allowing full throttle clutchless upshifts without any other required components.